Andrew Braden, clarinet, has been 2nd and Eb clarinetist with the Tucson Symphony since 1987. He has also served as principal clarinet with the Lawrence Symphony, Lawrence Chamber Players, the Kansas City Civic Orchestra and the St. Joseph (Missouri) Symphony. He has also performed with the Kansas City Symphony, the Phoenix Symphony and as principal clarinet with the Arizona Opera Orchestra. 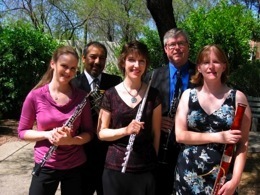 Mr. Braden has played with the Tucson Symphony Wind Quintet for many years, performing all over Southern Arizona. Braden’s woodwind trio, the Ocotillo Trio, has been on the roster of the Arizona Commission on the Arts and has given concerts throughout the region and Mexico. He maintains a private studio of 30 clarinet students and teaches for Tucson Unified School District in the OMA project (Opening Minds through the Arts), a nationally recognized program of artists in ‘at risk’ elementary schools. His work on various symphony committees has landed him on the Tucson Symphony Board of Trustees. Flutist Deena Reedy holds a Doctor of Musical Arts degree from the University of Nebraska-Lincoln, as well as performance degrees from East Carolina and Bowling Green State Universities. Dr. Reedy has performed as a soloist with orchestras in Nebraska, North Carolina and Arizona. Other performance honors include winning the Hampton Roads, Virginia Flute Fair Competition, being featured in radio performances on KUCV in Lincoln, NE and WTEB in New Bern, NC and participating in recitals in Austria, Canada and throughout the US. Dr. Reedy currently teaches flute at the Music and Dance Academy (Tucson), and is also a Teaching Artist in the Opening Minds through the Arts (OMA) program in the Tucson Unified School District. She has also taught at Bradley University in Peoria, Illinois and Schoolcraft College in Livonia, Michigan. Dr. Reedy has performed and presented at national conventions in California, Texas, New Mexico, Minnesota and Nevada. She has performed with a number of symphonies, including the Farmington Area Philharmonic and Tucson Symphony Orchestra, and released her first CD recording, Softly and Tenderly, in December 2003. Rebecca Cain, bassoon, is the Second Bassoonist of the Tucson Symphony Orchestra, a position she has held since 2000. Originally from tiny Davidson, North Carolina, Rebecca received a Bachelor of Music in Bassoon Performance and a Bachelor of Arts in Religion before completing her Master of Music degree at Arizona State University. She is a founding member of the quintet started at the Music from Greer Festival. Ms. Cain has also performed at the International Double Reed Society Annual Convention and at festivals in Sarasota and Banff. In addition to performing with the Tucson Symphony Orchestra, Ms. Cain is the Personnel Manager for the TSO and teaches for the Tucson Unified School District in the OMA (Opening Minds through the Arts)program. Sara Fraker, oboe, has played Second Oboe and English horn in the Tucson Symphony Orchestra since 2005. Raised in New Haven, Connecticut, Ms. Kramer is a graduate of Swarthmore College and New England Conservatory. She has performed in music festivals at Tanglewood, Chautauqua, Aspen, Spoleto Festival USA and Schleswig-Holstein in Germany. In 2003, Ms. Kramer began a doctoral fellowship at the University of Illinois at Urbana-Champaign, where she taught a full studio of private students and won positions in both hometown orchestras. She is currently working on a doctoral thesis about the oboe music of Isang Yun. Ms. Kramer is currently a Teaching Artist in the Opening Minds through the Arts program in the Tucson Unified School District. 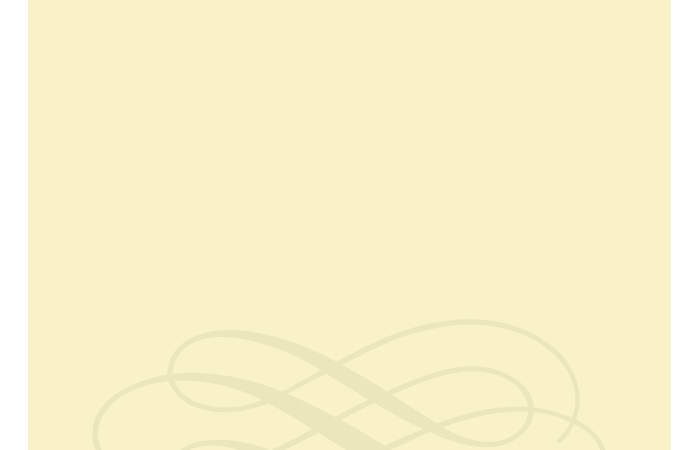 The Paloma Winds formed in 2006 as the Quintet-in-Residence at Music from Greer, a summer music festival in the beautiful White Mountains village of Greer, Arizona. 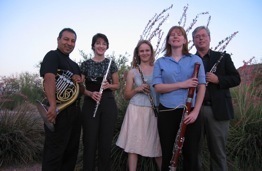 All five ensemble members are active in the Tucson community as orchestral performers, chamber musicians and teachers. Although their repertoire spans from the Renaissance to Classical to American popular music, the Paloma Winds share a particular interest in exploring the works of contemporary composers. In their premiere season, Paloma Winds gave the world-premiere performance of Pastorales, a quintet by Tucson composer Jay Vosk. Victor Valenzuela, horn, is currently Third Horn with the Tucson Symphony Orchestra. He is also Instructor of Brass at Pima Community College. Mr. Valenzuela holds degrees from New Mexico State University and Northwestern University. His instructors have included: Julie Landsman, Dale Clevenger, Nancy Joy, Dr. Warner Hutchinson and Richard Lambrecht. He has performed with the Royal Philharmonic Orchestra of London, the Phoenix Symphony, El Paso Symphony, Flagstaff Symphony and Arizona Opera. He recently toured as Co-Principal Horn with the National Symphony of Mexico during its 2002 North American Tour. Mr. Valenzuela has performed for the opening and closing ceremonies of the 1984 Olympic games, the 1986 re-opening of the Statue of Liberty and the 1988 celebration of the Declaration of Independence. In July 2000, Mr. Valenzuela performed, along with his colleagues of the Tucson Symphony Horn Section, at the International Horn Society Conference in Beijing, China. His hobbies include golf and more golf. The three loves of his life: his wife, Susana, and their two boys, Christopher and Alex.